The psychology department faculty offices, storage space, and two of its laboratories are located in the Archibald Granville Bush Science Center. The Child Development and Student Research center is located nearby on campus. Our Bush laboratory space allows for flexibility of experimental design and data collection with adult human populations. Our laboratory pre-school creates opportunities for research and learning with undergraduate students, children of all abilities, and psychology faculty and staff. Upon moving into the Bush Science Center in 2013, the psychology faculty moved to a shared laboratory space model. There are two suites on the second floor of the Bush Science Center in which data can be collected for psychology courses and faculty-supervised independent study research. Bush 227 is for laboratory meetings and group data collection, while Bush 230 has smaller rooms for individual data collection. Unlike many schools of our size, Rollins College maintains an animal colony that houses rats and mice for teaching labs and faculty research. Adjacent to the animal colony is a large operant laboratory featuring several testing chambers that can be observed through one-way glass. The chambers are used every semester in the Learning course and are also available for faculty and student research. The vivarium located on the second floor of the Bush Science Center houses our animal colonies and is where our lab manager and animal care technician have office space. 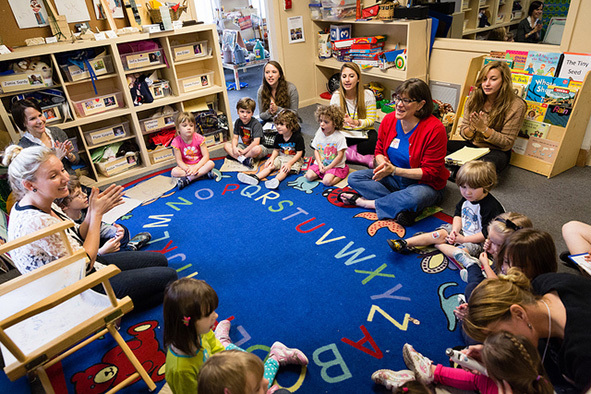 The Child Development and Student Research Center is a working laboratory pre-school run by the Psychology Department. It contributes to the mission of Rollins College by offering undergraduates the opportunity for research on campus and in the local community and for families the advantage of a high quality lab preschool program on campus.